The National Runaway Safeline (NRS) is pleased to announce October’s organization of the month, National Domestic Violence Hotline (NDVH). NDVH is the only 24/7 center in the nation that has access to service providers and shelters across the U.S. This hotline has been serving those affected by domestic violence for the past 20 years and continues to grow every year. NDVH has been a close partner to NRS in recent years. The hotline is a resource we provide to youth and families who may be dealing with domestic violence issues, and NDVH has also been a supportive partner in our National Runaway Prevention initiatives. In addition, we each provide technical support for each other’s hotline and online services. For example, if our system goes down, NDVH will provide our services to those who contact us until we are able to restore our system. It has been a partnership of many years and we are glad it is still going strong. When NRS moved into its new location, NDVH handled our calls until we were ready to operate. NDVH has an extensive website. It contains options for safety planning for those living with an abusive partner, as well as for children, pets, expectant parents, and emotional safety planning. The site also helps those unsure if they are being abused to identify and recognize signals or traits of abuse. NDVH is confidential to those who are seeking help, maintaining anonymity for their protection. Operating around the clock, seven days a week, confidential and free of cost, the National Domestic Violence Hotline provides lifesaving tools and immediate support to enable victims to find safety and live lives free of abuse. Callers to The Hotline at 1-800-799-SAFE (7233) can expect highly trained, experienced advocates to offer compassionate support, crisis intervention information and referral services in over 170 languages. 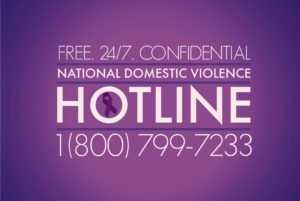 Visitors to this site can find information about domestic violence, safety planning, local resources and ways to support the organization. NRS is honored to name the National Domestic Violence Hotline as our October Organization of the Month. We appreciate the services they provide for individuals in crisis.